CWU Home » Geology » Why Geology? "Mom. Dad. I want to major in geology." How might your family react to such a statement? Our geology majors report that parents have wildly different reactions to this declaration from their young scholars. Intense pride, enthusiasm, bewilderment, disappointment, shame. "We had such hope for you! Geology? Who's going to pay you to be a geologist?" It is common for students to pick geology as a major after stumbling onto the topic during their freshman year in college. Seldom is there a clear idea how they will make a living as a geologist, but they are drawn to the topic - it simply stands out compared to their other courses. We advise students to follow their interest in natural science - and trust that the work will come. We have a strong track record with job placement. Geology majors share common ground. Our students enjoy the outdoors and hope to enjoy a career with plenty of field work. They are also not afraid of science. Math, chemistry, and physics principles are routinely applied to the natural world. Our world continues to crave good science work done on matters of public health, public safety, and general curiosity of how the Earth works. Want to improve your understanding of the world around you? Want to learn the details behind current important topics like climate, hydrogeology, environmental and geologic hazards? Geology! Graduates of our CWU Geology program are gainfully employed and living the dream. Daily. Thankfully, there is a wide range of jobs that all stem from a basic degree in Geology. There are many satisfying careers out there with a BS in Geology - although many of our alums eventually return to school for a Master's Degree. Please see our Alumni Page to sample the diversity of work that exists our there in the real world. 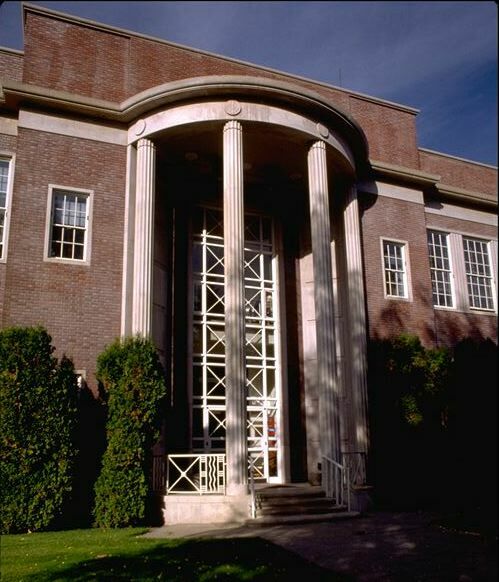 The Department of Geological Sciences at CWU offers undergraduate and graduate degree programs in the geological sciences. Emphasis is placed upon stimulating classroom, laboratory, and field experiences with dynamic faculty members whose teaching and research interests span the spectrum of geological problems. The department houses a geochemistry laboratory equipped for isotopic, major-element, and trace-element analysis of earth materials. Students gain experience running complex analytical instruments such as an inductively-coupled plasma mass spectrometer and a stable isotope mass spectrometer. Students also benefit from access to two research petrographic microscopes with digital cameras, rock crushing facilities and wet laboratories where samples can be prepared for analysis. The department also houses the data analysis center for the Pacific Northwest Geodetic Array (PANGA), which is a permanent network of GPS receivers that continuously measure crustal motions in the Pacific Northwest. The department is equipped with digital surveying equipment, extensive computer hardware and software, and the typical field geology tools (compasses, rock hammers, handlenses, etc). Eleven tenure-stream faculty, an enthusiastic instructor, and several adjunct, research, and retired faculty offer three undergraduate major programs and a masters program in the Geological Sciences. The department has approximately 80 undergraduate majors and 25 graduate students. Faculty aggressively recruit undergraduate students to participate in meaningful field and laboratory research. Faculty mentored graduate student research leads to original, scientific contributions to the geological sciences. Funding for undergraduate and graduate research comes from the National Science Foundation, as well as local, regional, and national sources. Our undergraduate students are conducting research in environmental geochemistry, geomorphology, GPS geodesy, active tectonics, surficial processes, petrology and volcanology in such diverse regions as Alaska, Baja California, California, China, Kazakhstan, Nevada, Taiwan, and the Pacific Northwest. Graduate students are conducting research that spans the expertise of our faculty in far-flung regions including Antarctica, Chile, Indonesia, Italy, and Tibet. The Department of Geological Sciences offers a two-year M.S. program in Geological Sciences in a wide range of topics. Our program aims to prepare students for professional employment in geoscience careers in the Pacific Northwest and beyond, or for continuing graduate studies at the doctoral level. Inquiries should be directed to the department's Graduate Program Director or visit the office of Graduate Studies and Research. Central Washington University is ideally situated in an area of diverse geology. The university lies on the margin of Columbia River Basalt plateau, adjacent to the crystalline core of the Stuart Range and the majestic volcanoes of the Cascade Mountains. Seismicity and active volcanism of the Cascadia subduction zone, periodic regional flooding, highly deformed rocks of northern Washington and British Columbia, and a water- and natural-resource based economy in central Washington provide ideal opportunities to study a wide variety of geologic problems and the mitigation of geologic hazards. The department is located in Lind Hall, on the corner of University Way and Chestnut Street (location map).